Are you interested in doing a PhD but worried about the cost? Its a real concern of many, and can dramatically affect your decision-making process - three years is a long time to be forking out €10,000, as it costs in some places. 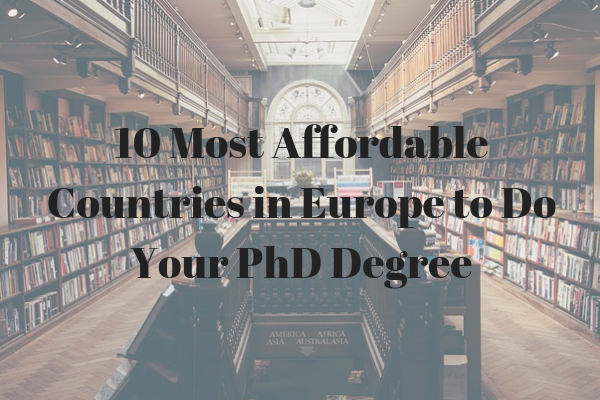 To help you make the most informed possible here are ten of the most affordable countries in Europe to consider for your studies. Germany has a world-wide reputation in academics, particularly in the areas of science and engineering, and has an extensive higher education system. 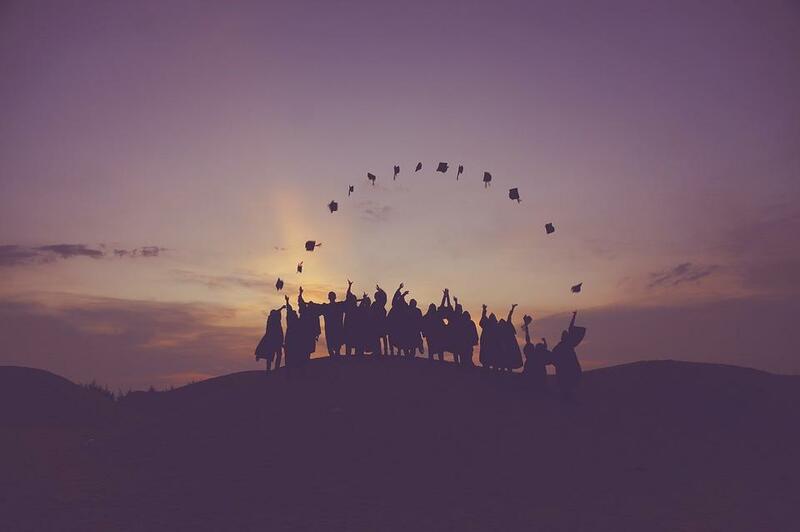 Most universities have very low or negligible tuition fees, and there are large numbers of government grants available for PhD students, such as those provided by the DAAD or the Excellence Initiative. Living costs vary between areas, but rent control means that housing is relatively affordable in Germany. The cost of tuition fees for PhD students in Denmark is also low: usually around DKK 3,600 (US$500) per year, making it an affordable option for studying. The quality of life is very high there, with a strong culture of environmental awareness and beautiful countryside. Rent and food can be expensive in large cities like Copenhagen, but this is balanced out by cheap tuition. France is known for its world-leading technical colleges like l’Ecole Polytechnique, where tuition fees are typically very low for PhD students at just €400 (US$440) per year. Paris can be cringe-inducingly expensive to live in, but other cities like Lyon or Toulouse are more affordable and also have exceptionally good universities. If you can handle the cold, you might consider studying in Helsinki, Finland, which has two world-leading universities. It is far more affordable to live there than in other Scandinavian capital cities, so if you want a taste of Scandinavian life without the hefty price tag then this might be for you. Free tuition for all doctoral students – this is something incredible which is offered by Sweden. There are also scholarships available from the Swedish government to cover living expenses of PhD students who come from other countries to study in Sweden. With a high quality of life and well-regarded universities, Sweden is highly affordable and highly attractive for studying. Brussels is a bustling and highly cosmopolitan city best known as a centre of political activity, but it also has a number of reputable educational institutions. PhD students in politics or international relations, in particular, will find this a highly stimulating environment. The cost of living is generally lower than other European cities and tuition fees are in the mid-range. Affordable in terms of both tuition fees and living costs, Hungary is a rising power in the European academic world. Academic scholarships for international students are common, making it a popular choice with students from around the world. The city of Budapest is known for being one of the most interesting and culturally intriguing cities in Europe, and it has universities like the Corvinus University of Budapest which offers programs in English. Who could resist the chance to spend a few years in Italy, eating what surely everyone agrees is thevery best food in the world? As well as delicious food and a relaxed, casual way of life, Italy offers good technical universities as well as institutions which specialise in the arts, history, and architecture. Accommodation costs vary considerably even within a city, meaning that there are usually options available for students on a budget. Tuition fees are low and it is increasingly common to find international students at Italian universities. Another Scandinavian country which offers very low tuition fees is Norway. Tuition is generally free for all students, including international students, at all educational levels. Students only have to pay a small administrative fee of $50-$100 per semester, and the universities are of high quality. However, the costs of living in Norway can be very high as even buying basic staples from the shops is far more expensive than the rest of Europe. But the cheap tuition makes this an option still worth considering. Finally, one country which you might not have considered as a location for your studies is the Ukraine. The capital city, Kiev, is both beautiful and lively, and there are many well-regarded institutions there, particularly in the area of medicine. With cheap fees and very cheap cost of living, this country is one to think about.